Take a journey around historical properties in the City of York. 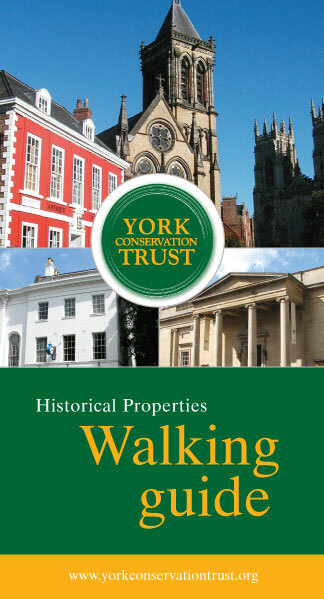 This publication will not only take you on a journey around the City of York to view the many properties owned by York Conservation Trust, but will also enable you to view, and if time is available, visit the many tourist attractions within this fine old city. Like a city tours bus, you can join and leave the route map at any point allowing you time to visit the other interesting features of York which we have suggested on the route instructions. There is a fold-out route map at the back of this guide where you can view the list of properties and locate them on the map.